Most people visit Costa Rica for the perfect climate and stunning sandy beaches and, to be perfectly honest, that’s why we’re going too. There’s more to this Central American country however, including vibrant cities and a picturesque, wild interior. We’ll cover where to travel in Costa Rica, when to go, how to get around, and how much it’s likely to cost you. 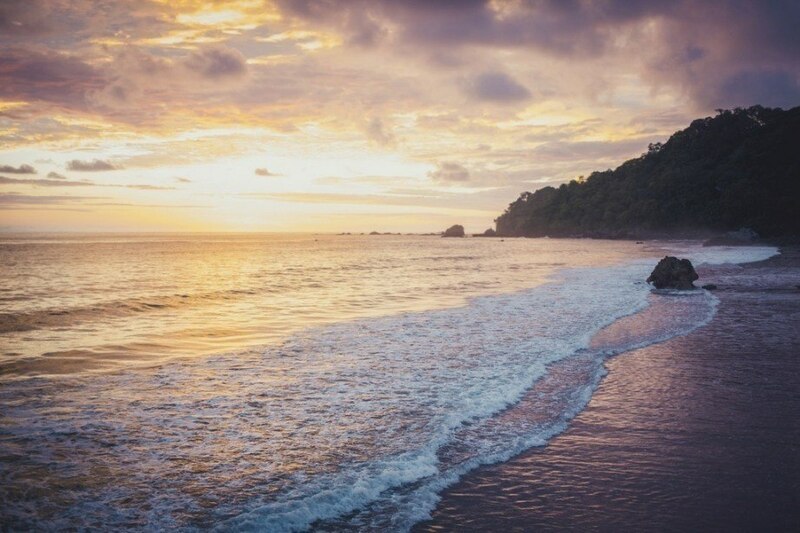 This is the best part…because Costa Rica is so close to the equator you can visit whenever you want! That being said, there is a rainy season (May – November) where you can expect a lot of, well, rain – but less tourists. The dry season (December – April) is popular (sometimes too much so) but can also get very hot in the lowlands. The ideal time to visit is arguably the transitional periods between the rainy and dry seasons – with manageable crowds and less rain. Your best two options for getting around are buses or car rentals. Buses generally cover most of the country, though service can be slow depending on where you’re going. Renting a car affords you the opportunity to reach more remote destinations at your leisure, though you should be wary of road quality, and avoid driving at night altogether. 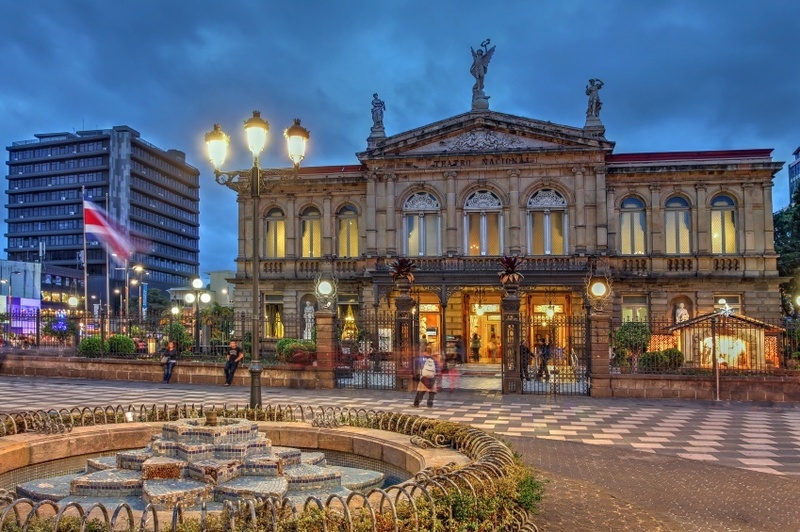 The capital and largest city in the country may not be the end all be all of a Costa Rican getaway – largely due to its central, non-coastal location. That being said, there’s a good chance it’ll be your first port of call (so to speak). Instead of rushing through, take some time to discover the city and you might come to dig the intoxicating atmosphere, exciting nightlife, great food, and cosmopolitan sights. It’s not always the most beautiful of cities (though there are some areas featuring colonial architecture), but it’s the wealth of things to do that make San José an integral stopover. This is more like it. 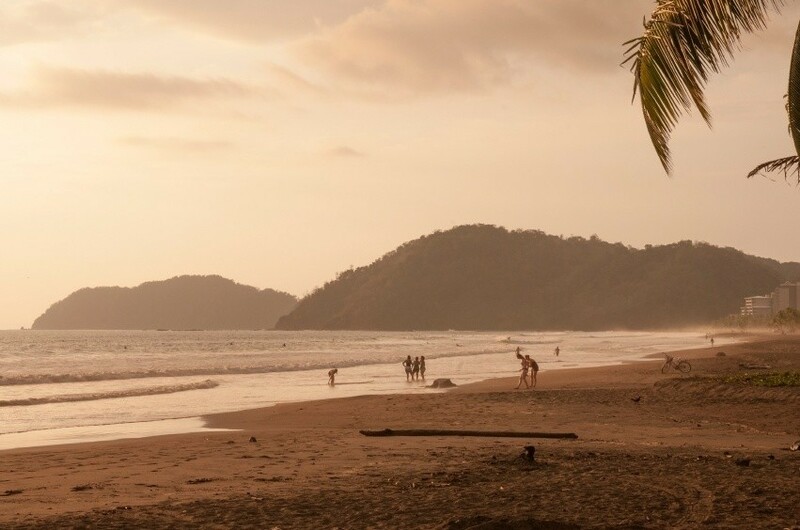 As one of many resort cities along the Costa Rican coast you’re likely to find a varied collection of locals, tourists, and thrill seekers on the beach. Jaco is well known to offer some of the best surfing in the country, so if you plan on riding the waves you could definitely do worse. That’s not all there is to find here, with the constant influx of visitors helping to create what is arguably the best nightlife in the country (Jaco can be a bit…seedy however). In addition, it’s only a short trip into the less populated remote regions of the country. The second seaside resort on our list gives Jaco a run for its money when it comes to surfing and partying the night away. 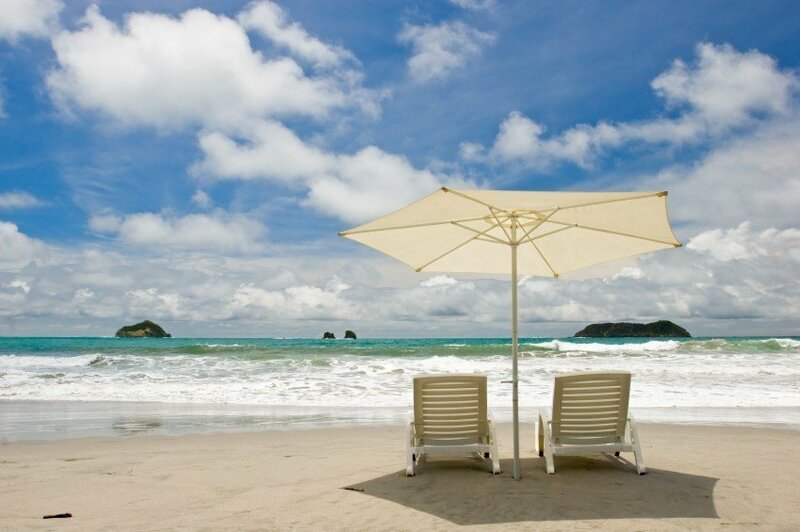 Tamarindo is slightly more developed than its rival, with a greater collection of hotels and restaurants. It’s also arguably a bit more family friendly than Jaco, though this doesn’t diminish the nightlife for those in the younger crowd looking for a good time. With parks and beautiful natural regions surrounding the town and an easy to reach location, there’s no better place to get the most out of your Costa Rican getaway. While the above two destinations are found on the largely developed Pacific Coast, the Caribbean side of things still has much to offer adventurous travelers. It’s certainly less built up and much wilder, but that’s part of the appeal. 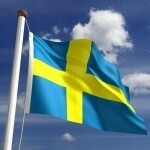 The culture here is also more authentic and rooted in hundreds year old traditions. You can expect to experience a way of life far removed from the popular resorts on the west coast. Of course it wouldn’t be Costa Rica without a diverse and spectacular collection of wildlife and scenic locales – all of which can be found nearly everywhere you look. Welcome to one of the most breathtaking regions in Costa Rica. It’s a land of rivers, dense forests, lakes, and more – all with one of the most impressive volcanoes in Central America at its heart. It used to be highly active, but recently has taken a rest from blowing its top (making a visit safer if a little less spectacular). Still, with the mountain at the centre, the region around Arenal is an idyllic escape from the bustle of cities and the debauchery of resorts – affording visitors a chance to take a break and experience a slower pace of life. Perhaps the most unique destination on our list is the famous Monteverde Cloud Forest. With low-level clouds constantly blanketing the forest (the name makes sense now, doesn’t it? ), there’s an otherworldly air to the entire region. As a protected reserve, Monteverde is home to many marked trails and excursions that are all easy to access and partake in. Whether it’s tromping along the forest floor or zip lining above the canopy, there’s no wrong way to experience it. To truly appreciate the diversity of the rainforest, you could do worse than Corcovado National Park. You can reach the park from either Bahía Drake or Puerto Jiménez, and once you get there you’ll quickly realize you’ve arrived somewhere special. Whether it’s massive anteaters, huge eagles, or just your average monkey – the various ecosystems at play here host a staggering amount of wildlife that will appeal to both seasoned naturalists as well as casual tourists. It’s small and sometimes overwhelmingly busy, but this national park still deserves a visit for a variety of reasons. First and (arguably) foremost, it’s just a couple hours from San José – which makes it one of the more convenient destinations on this list. It’s not just an easy trip though. Sandy beaches, coconut trees, rainforests, rocky highlands, varied wildlife, and unforgettable views are all somehow packed into a relatively small package. It’s one of the most beautiful national parks not just in Costa Rica, but the entire world (and that’s not hyperbole). 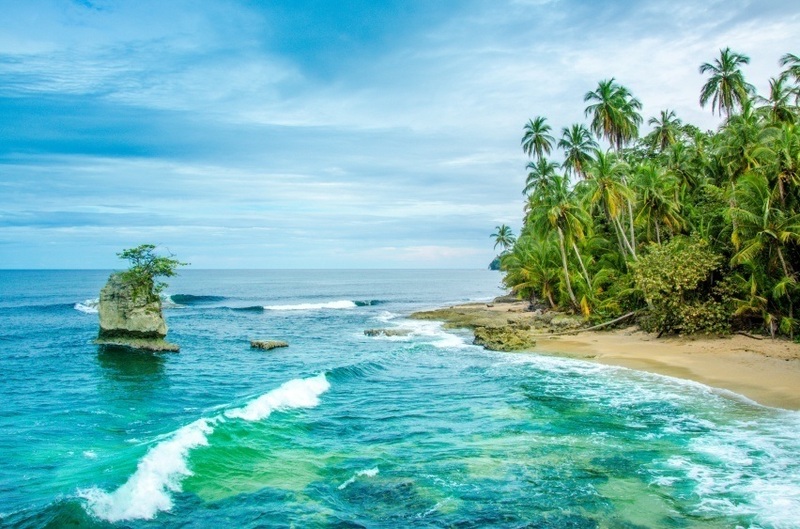 Partly due to its (relatively) close location, round trip flights between Pearson and Costa Rica generally have pretty affordable prices. Flights to San José can be found for just over $500 Canadian while heading into Liberia (in the north) is usually closer to $400. Stay on the lookout for deals, as you can always save more! Once you arrive in Costa Rica, you can expect to spend about $99 per day with a budget of $53 for accommodation and $23 for food. Cost conscious travellers could likely get by with closer to $39 a day while really dipping into your savings will run you about $265 a day. The Zika virus remains an issue in Costa Rica. Learn more about the precautions you should take from the CDC. While Costa Rica is generally considered one of the safer countries in the region, there is still a fairly high level of violent crime. As a result, the Canadian government recommends a high degree of caution throughout. Be vigilant at all times and do exactly what an armed assailant says if you are accosted. Petty crime is also a danger, especially in busy tourist areas. While renting a car is an option, road safety is not great. Conditions aren’t always the best, especially during the rainy season. Be wary of large waves on beaches as well as aggressive wildlife throughout the country. That all being said, tons of people visit Costa Rica from the US and Canada every year, and most return without incident – so be smart, take care of yourself and your belongings, and you should have no trouble. 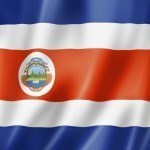 For more information, check out the Canadian government advisory for Costa Rica. 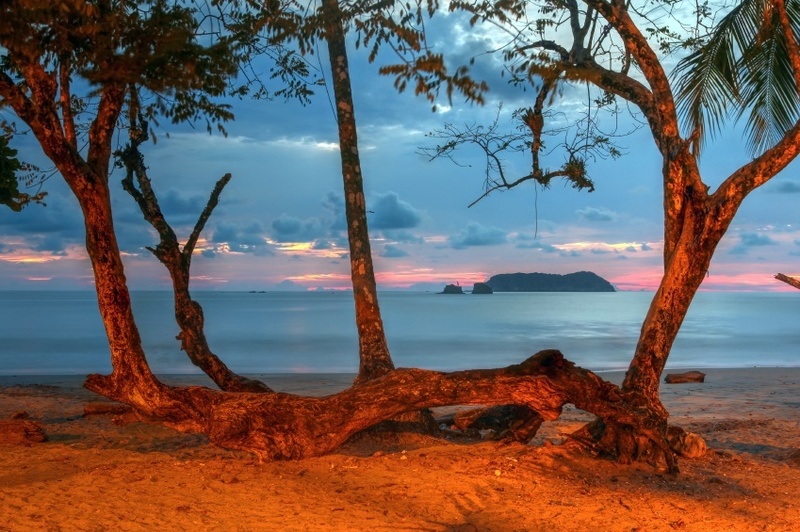 These are just a few examples of where to travel in Costa Rica, there’s tons more to see and do. If you think somewhere else should be on the list, let us know in the comments. Check out our Country of the Week for more general information about Costa Rican history and culture. 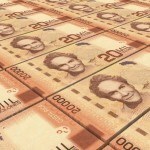 You can also read our Currency Spotlight if you want to become an expert on the Costa Rican colón.